The famous couple are friends with the royal family. 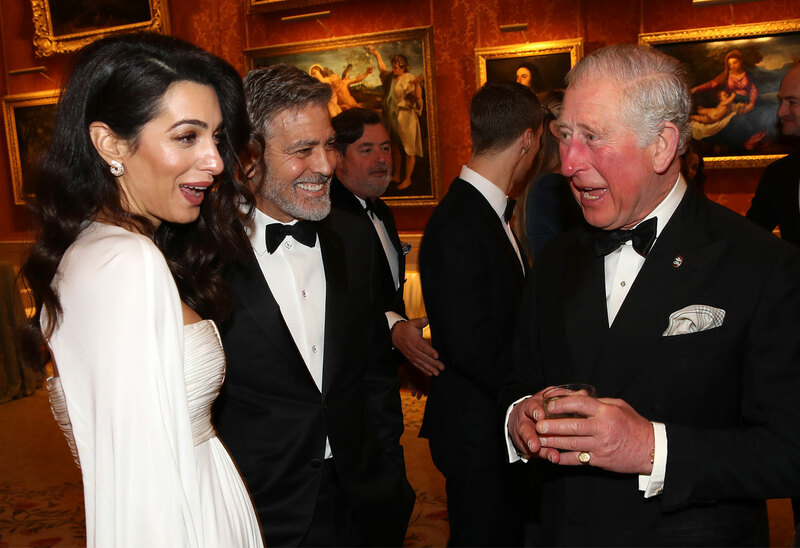 George and Amal Clooney dined with Prince Charles at Buckingham Palace on March 12. Click through the gallery for all the info on the couple’s night on the town and their connections to the royal family. George, 57, and Amal, 41, attended the dinner to benefit the Prince’s Trust. The organization works to support young people around the world. Amal wore a stunning white gown with a one shoulder cape. George looked sharp in a tux. The pair joked with Charles, 70, and seemed to have a great time. The happy couple are close friends with Prince Harry and Meghan Markle. They attended their wedding in May 2018. George also defended pregnant Meghan, 37, from her detractors. Last summer, George scared the world when he was involved in a motorcycle crash in Italy while filming Catch-22. Thankfully, he recovered fine. Other celebrities at the prince’s event included Chiwetel Ejiofor, Luke Evans, Tamsin Egerton, Josh Hartnett and Benedict Cumberbatch. What do you think of George and Amal’s friendship with the royals? Sound off in the comments!